What Is the 2019 Infiniti QX60? 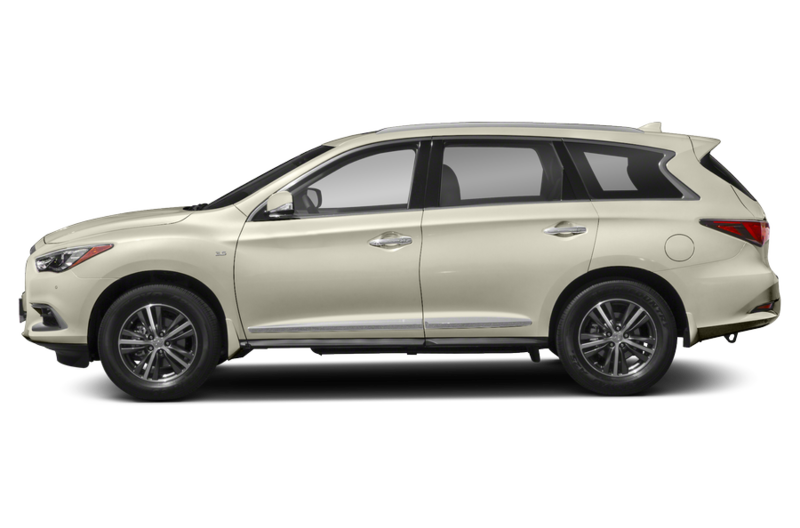 The 2019 Infiniti QX60 is a luxury SUV that can seat up to seven people in three rows. It's powered by a standard 295-horsepower, 3.5-liter V-6 engine that works with a continuously variable automatic transmission. 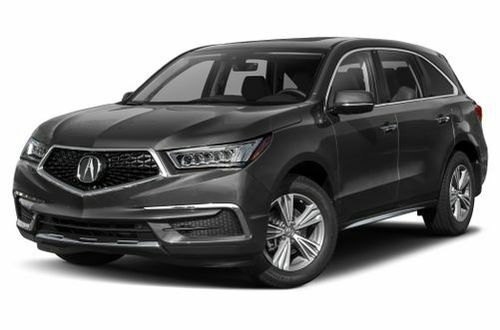 Front- and all-wheel-drive models are offered, and competitors include the Acura MDX, Audi Q7 and Buick Enclave. What's New on the 2019 Infiniti QX60? Predictive forward collision warning, automatic emergency braking with pedestrian detection and a blind spot warning system are now standard. 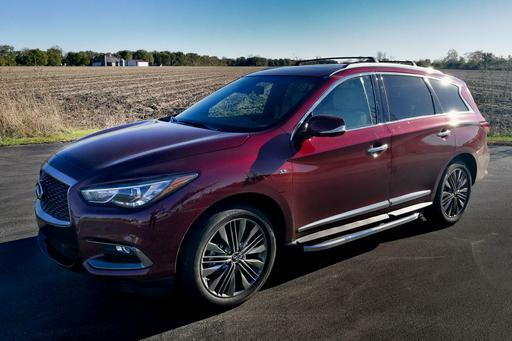 What Features in the 2019 Infiniti QX60 Are Most Important? 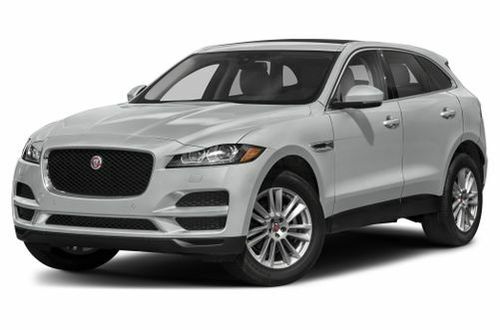 Standard features include simulated leather upholstery, heated front seats, push-button start, tri-zone automatic air conditioning, a power-adjustable steering column and a multimedia system with an 8-inch screen. 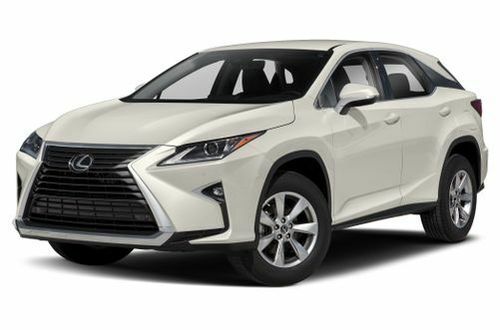 Built-in navigation is optional, as is real leather, cooled front seats, heated second-row seats, a heated steering wheel, a Bose premium stereo and a 360-degree camera system. Adaptive cruise control and lane departure warning and prevention are also optional. Should I Buy the 2019 Infiniti QX60? 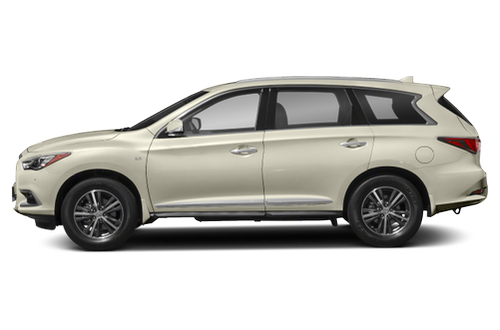 The QX60's cabin has nice finishes, accessible seating and a responsive multimedia system. However, the driving experience falls short of luxury with a rough ride and unappealing transmission behavior. Been driving Infinity for several years. Love it! The 2019 INFINITI QX60 has not been tested. 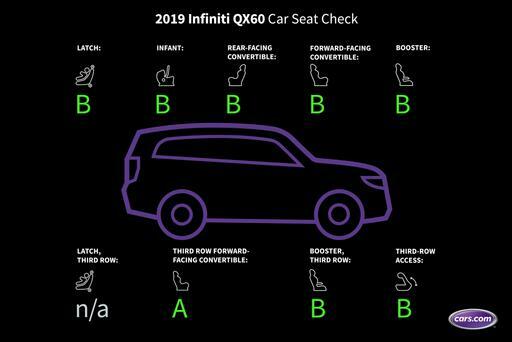 How Do Car Seats Fit in a 2019 Infiniti QX60? Like what you see? 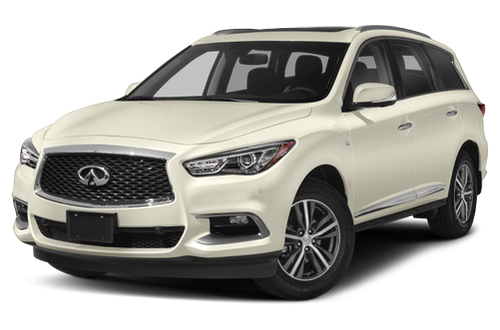 Find the best deal on a INFINITI QX60 today.